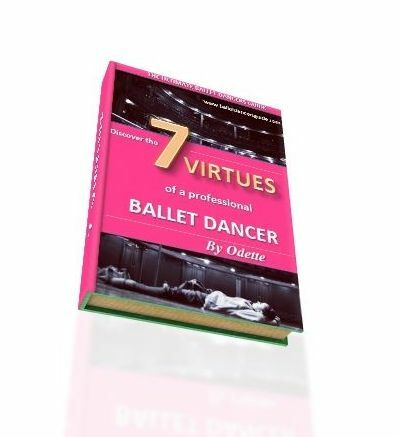 Hi Odette I was wondering if your 7 virtues of a professional dancer ebook is available in a hard copy book. I'd really like to get it but I prefer to read in a book, instead of on a computer. Thank you so much your message, I really appreciate your feedback! Especially since I designed my book for all of you, it is great to hear from you so I know how you would best like the book. This is my first week in launching my book in the form of an eBook to read as a digital book online. However, do not worry, I am already working my hardest now to turn it into as many forms as possible! So, if a hard copy is something you would be more interested in, I will definitely work on that next. At the moment, I'm also working on making it available for Kindle. Is that something you would be interested in? Of course, I understand you would prefer a hard copy. It's not available right now, but it certainly will be! If you stick with me and keep in touch, I will make sure I let you straight away when it's ready. Thank you again for your message. Please do keep giving me any feedback you wish, then I will do my best to make what you really want possible. Thank you for your reply, I definitely take on board what you say and I hope to bring out a hard copy. However, right now, there is only an eBook available. You can still download the eBook on your computer, so once you have saved it you do not need to go on the internet to read it again. It is also beautifully presented like a book, so you can print out the pages if you want to. 1. A real book with ALL the 7 virtues included. Since it would have over 200 pages and all the series in one book, it would cost around £26 ($38). 2. Or bring out a real book in a series, so with each virtue in a separate book. Then, each book would be around £5 ($8)and you could wait a bit before buying the next one. I am still looking at the best way to bring out the book for you. So, please stick with me and keep giving me your feedback! It is working progress, but trust me, the 7 Virtues are definitely worth your time! I give away advice that I have never given on my website before and each virtue will make a huge difference to your dancing.